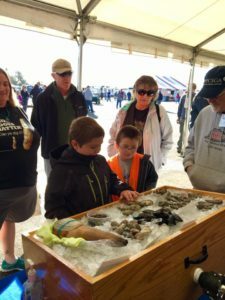 It was a beautiful day at OysterFest! 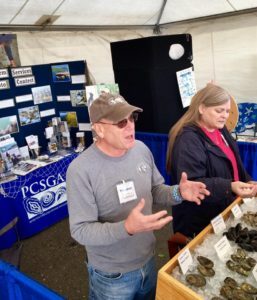 Hope everyone had a chance to stop by the OysterFest in Shelton, WA to enjoy some oysters, other yummy seafood, drinks, music & great company. A special shout out & thank you to all the PCSGA members who volunteered to work the booth & share your knowledge, stories, & fantastic personalities with all the fest goers. Thank you: Lisa Carleton-Long, Kris & Dave Barton, Debi & Marty Beagle, Dan Hansen, Rob Snyder, Vicki Wilson, Dave & Cairn Steele & PCSGA’s own Becky Mabardy.